Flat Earth: Planets don’t exist? Flat earthers say planets are not globes, they are created by NASA with CGI. Planets are just lights in the sky. One of the proofs given by the globe earthers is “as above, so below.” They look up into the sky and see the moon, the sun and the planets are all globes. So it is a reasonable supposition that the earth planet we are standing on my be something like the globes we see floating in the sky above us. Of course it may also be that what we are standing on is completely different from what we see floating above our heads in the sky. Flat earthers, on the other hand, tend to be totally against globes, anywhere. 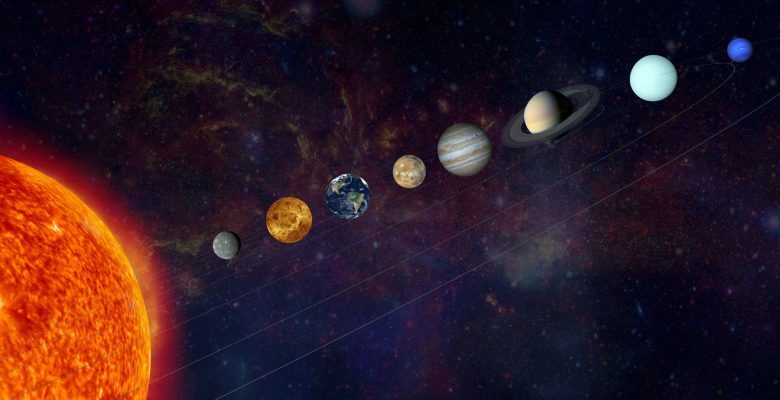 They generally say the moon is not a globe, the planets are not globes, they even go so far as to say that NASA has invented the planets and they are just CGI. They hate globes. They don’t want to see globes anywhere in the universe. According to flat earthers that we can not see the planets as they are depicted by NASA, they are just lights in the sky, not globes, etc, etc. The beautiful planets NASA shows us are just creations of their computer graphics animations. Of course any of us who have actually looked at the planets through a decent telescope can verify that they are most certainly globes and they do clearly have the features NASA depicts in their images. It is not at all difficult to get quite clear images of the planets in a telescope and confirm they are globes. At least they appear to be globes and that would be the most obvious conclusion to draw. Of course NASA has made images of the planets which are much clearer and more detailed than what we can see in a telescope, and perhaps they have done this with CGI, but the NASA images are based on real photographs of the real planets. I will get out my telescope and take some pictures of the planets and post them here later.